We offer different types of pile driving and shoring based on your project’s environment and requirements, including: H-Piles, battered piles, timber piles, open and closed end steel piles and sheet piles. We use truck mounted, barge mounted, and crane mounted pile driving units to complete the job. Our team is experienced in a variety of environmental conditions for pile driving, including remote locations and sensitive environments. Shoring: the process of driving piles into the ground in the body of water; removing the water, then working inside to stabilize the piles. 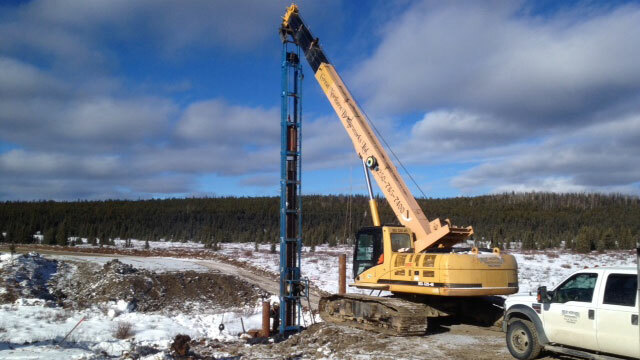 For inquiries on Pile Driving Services from Great Northern Bridgeworks, call 250.785.7400.